The Milwaukee Brewers placed reliever Matt Albers on the 10-day disabled list and activated right-handed pitcher Jordan Lyles, the team announced Tuesday. It will be the second trip on the disabled list this season for Albers, who signed with Milwaukee after a career year with Washington in 2017. When he’s been on the mound, the 35-year-old has earned a 3-3 record, 6.23 ERA and an 8.3 K/9 in the bullpen. Milwaukee acquired Lyles via trade waivers from San Diego on Sunday. Lyles appeared in 24 games with San Diego this season, getting eight starts. 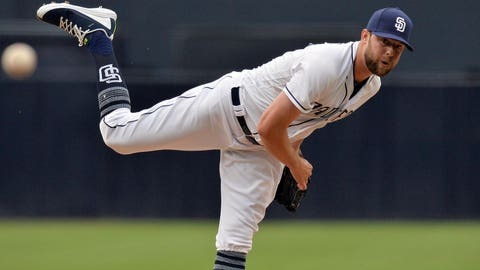 In 71 1/3 innings of work, the 27-year-old owned a 4.29 ERA, 1.262 WHIP, 7.8 K/9 and a career-best 3.26 K/BB for the Padres.